I'm under no impression that Joel Schroeder was able to get Mr. Watterson to actually come on to this document. He has been known to turn down interviews but I think that this movie will be a must-see for any of the fans of the strip. There's a theatrical release date of November 15th, 2013, and if it doesn't play in Dallas, I will try my hardest to make sure it does. 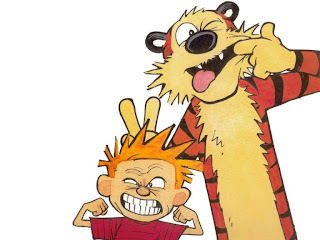 Check out the website at Dear Mr. Watterson.